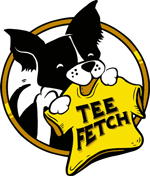 Trigun Fiction Tee Design Review. 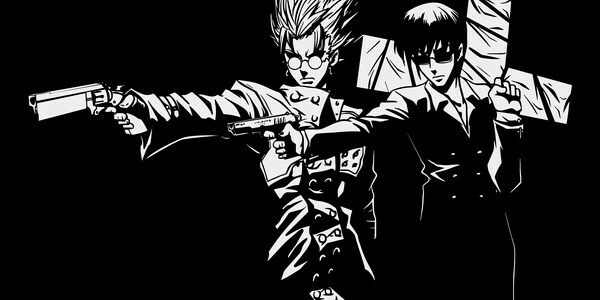 The Trigun Fiction tee design is for Trigun and Pulp Fiction fans. The concept is badass. The Pulp Fiction characters of Vincent Vega and Jules Winnfield (seen above) are replaced by Vash the Stampede and Wolfwood of Trigun. 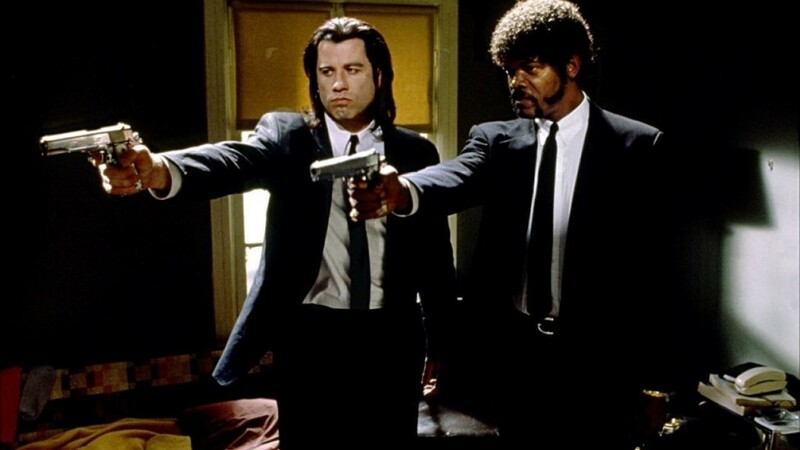 This is one my favorite versions of the numerous Pulp Fiction parody/mashups out there. As for the artwork, this one is drawn in solid White with the blank negative space creating the shadows. The character likenesses are true to the cartoon and is simply awesome. While this is the Pulp Fiction pose it is definitely more of a Trigun fan tee. Coincox Tees executed this design perfectly, The Pulp Fiction vibe showing through with the facial expressions and Trigun elements filling the rest. It is a bit odd seeing Vash that pissed but it works. Trigun Fiction Tee Design by Coinbox Tees. 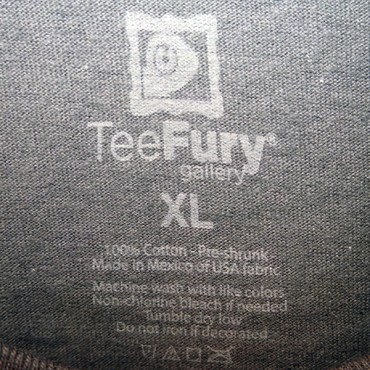 The Humanoid Typhoon Tee Design Review. 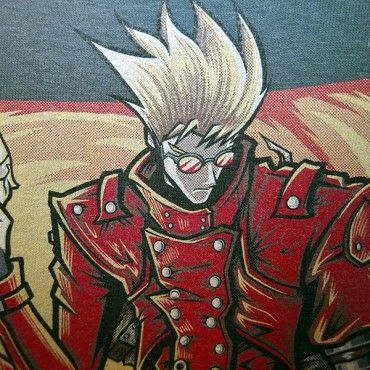 The Humanoid Typhoon tee design is for the Trigun fans. As for the artwork, the colors are appropriate for Vash. Lots of shading and lots of details. The composition is pleasing to the eye as it is well balanced. Even though is is printed with the DTG method now the halftones are as prof as it gets. The foreground elements are more vivid than the background images which helps add the illusion of depth. From a distance however the tee does appear to be very busy and it it difficult to make out all of the details. It probably would be better without the desert atmosphere behind Vash as that design element is done in kind of a weird way since it doesn't extend to other parts as if it were a door way (it's not). As for the print itself, the colors are a bit muted compared to the thumbnail so that is a disappointment. 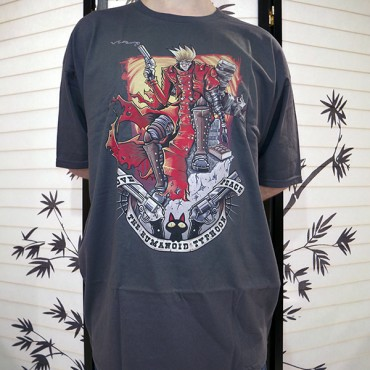 The Humanoid Typhoon tee will make a great gift for fans of Trigun. The Humanoid Typhoon Tee Design By TrulyEpic.